20 days until Law School classes start! I am in full OCD organizational mode. 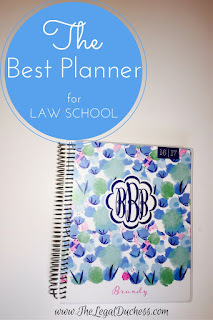 First order of business- finding the perfect planner for keeping my sanity throughout Law School. I have always been a Planner user. I find that writing out my life and responsibilities really helps me stay organized and get it all done. That being said, my quest for the perfect planner to suit my needs has always come up a little lacking. My requirements are a bit steep: pretty, not super bulky, student friendly, simple layout, customized specifically for my needs and not ridiculously priced. 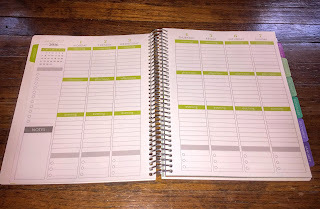 I did a lot of research into high-end planners in my quest for the perfect one. My senior year of undergrad I splurged on the famous Lilly Pulitzer Planner. Though beautiful, it just did not suit my needs and I ended up ditching it for a little leather planner I found at T.J. Maxx for $5. That planner also was not perfect by any means but it got me through graduation. In preparation for law school, I started researching again. I gave Bullet journaling a try as it is the craze of Tumblr but I just really couldn't make it work for me. It was just too much work and I gave up before it really helped me. 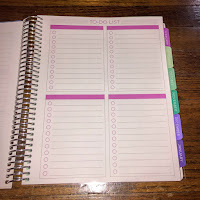 This time around I came across the Erin Condren Life Planner which seemed to be great for juggling many things but the sticker price was a bit steep. 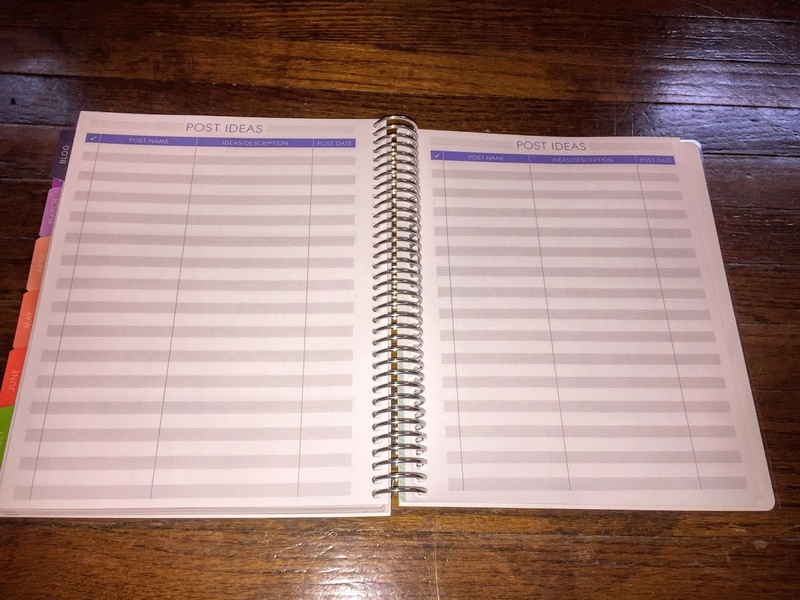 Enter, the Plum Perfect Planner. 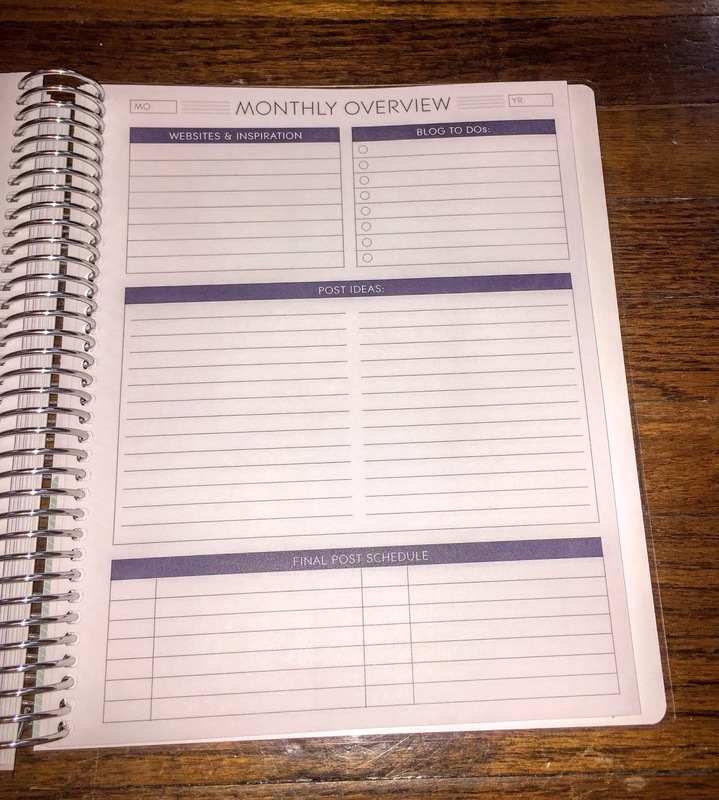 Priced lower than the EC planner, prettier, more customizable and a better student layout. I read a few reviews by other Law Students regarding the planner and looked around their website at all the options and I was sold within minutes. Usually, I wait around to make a decision to see if I change my mind. In this case, I picked a cover, layout and a few add-ons and ordered it faster than you can say "Plum Paper". So why did I choose this planner? Five big reasons. Call me basic but I love having personalized/monogrammed things. 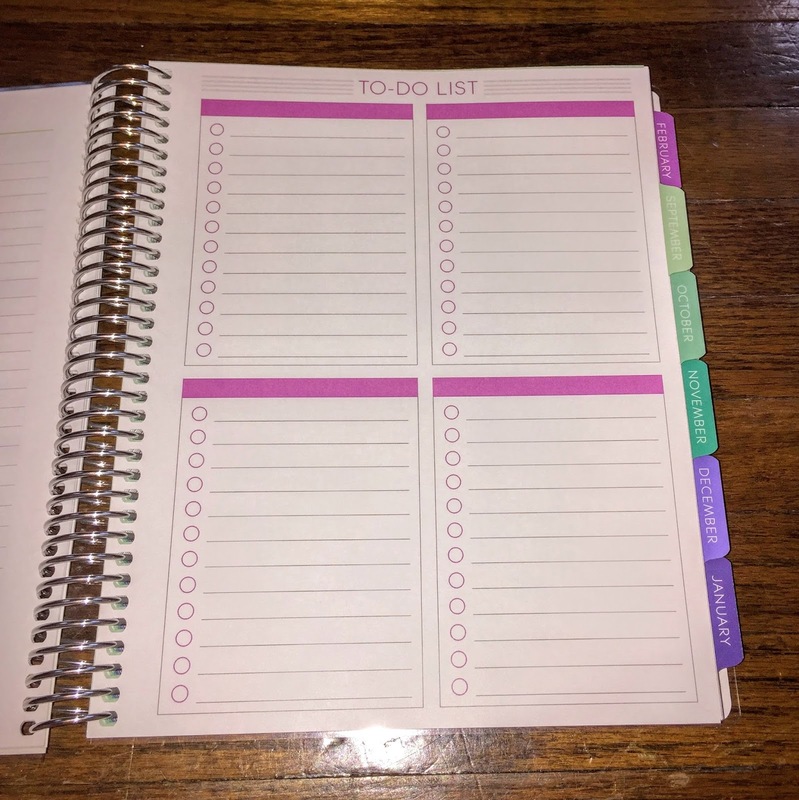 Having something that is pretty and special for some reason makes me more apt to use the item and since I HAVE to use a planner to stay organized, I wanted to to be pretty and inviting. I absolutely love that Plum Paper offers so many pretty designs and customization options. I chose to have my name and a monogram on the cover. The design I chose is clean and bright and just seems so inviting. It is pretty and I love whipping it out at every opportunity because it makes me smile. 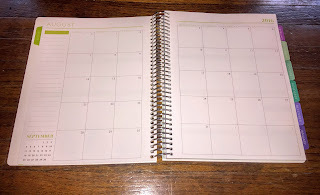 Plum Paper offers a specific student planner but I did not choose that because it was expensive to add in all my classes and it didn't really allow for real life to be integrated into the planner like I wanted. I chose the regular planner in a vertical morning-afternoon-evening layout. This helps me to lump my day into time frames for studying, classes, free time, etc. I have plenty of space for class assignments, meetings and study schedules as well as appointments, bills to be paid and any other events within my life. I love the monthly layout for looking at the big picture of what my month will entail and the goal setter/to-do page at the beginning of each month. I ordered the 7x9 size and it is just right- big enough to write everything down but small enough that it doesn't take up too much space in my purse of backpack. 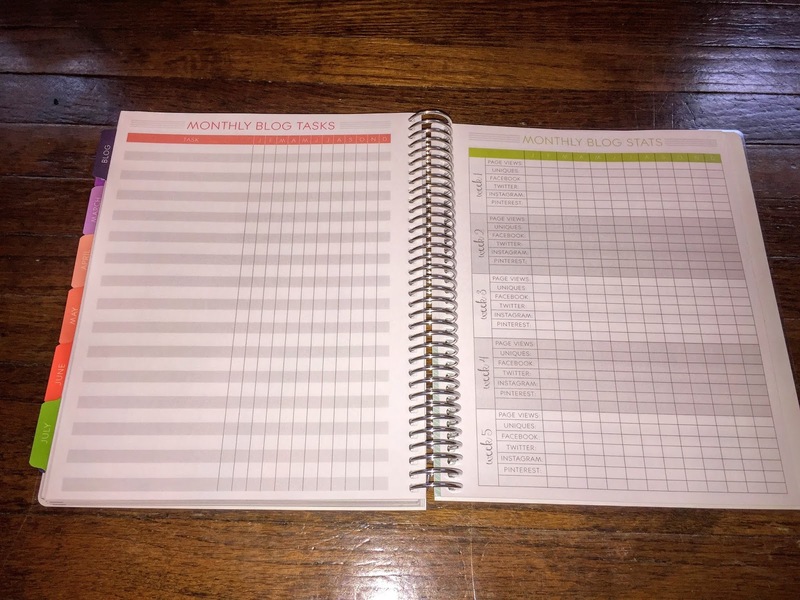 The add-on's really made this planner a winner to me. 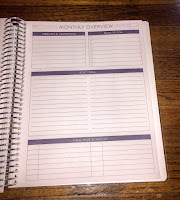 I chose to add on the Monthly To-Do lists and a blog planning section. 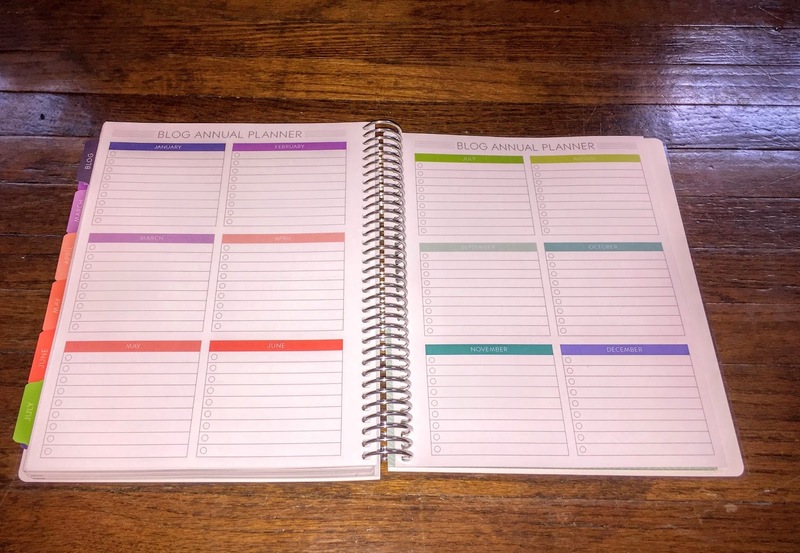 I think these will really help me to stay more organized and it keeps everything in one spot: school, blog, life, to-do's. Being able to add these extras really made Plum Paper the planner for me. 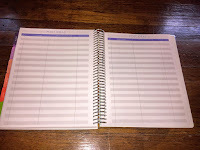 In future planners, I might even add in other extras like a fitness planner, bill tracker and who knows what else. The options are nearly endless for total life organization (wow that really shows my OCD loud and clear). I use and abuse my planners so I had to make sure this would hold up. I read a lot of reviews and never saw any major concerns with durability. After receiving my planner, it lives up to my standard thanks to the plastic protector on the front and the nice firm spirals holding it all together. We will reconvene on this aspect when I am done with it but I am confident that Plum Paper will live through my school year. For the level of customization, add-ons and quality provided in Plum Paper, you seriously cannot beat the price point. 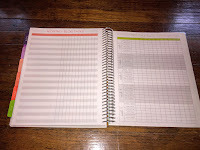 The base price is $31 and with my add-on's of blog planning and to-do pages my total plus shipping was $46.25. 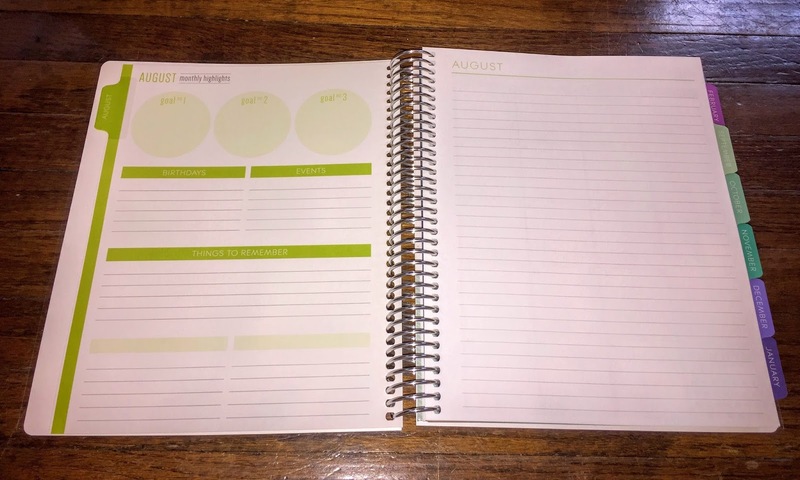 I know I said that $50 for the EC planner was too much and then I went and spent nearly the same on the Plum Paper but the difference is I got exactly what I wanted and needed. The EC planner felt like I was paying for a name and was getting something I would have to conform my needs to fit. With Plum Paper, it is customized to my specific needs from the start. That is, in my opinion, worth every penny. As you can see, my choice in a planner was a bit of a process. I did a lot of thinking and research and thankfully ended up with what I believe is the perfect planner for my Law School journey. Too any other 1L students looking for a good planner, I highly suggest the Plum Paper Planner. Allow for at least 3 weeks for your planner to arrive. 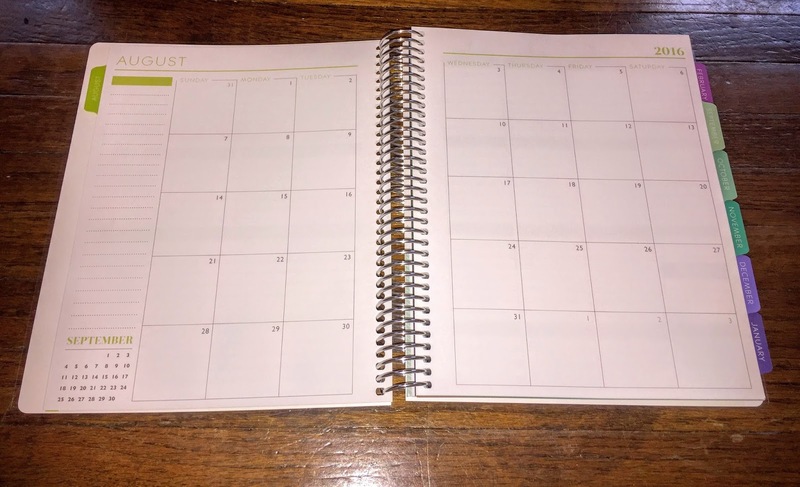 It took my planner a solid 2 weeks to arrive and you would not want to cut it close on not having it in time for school. 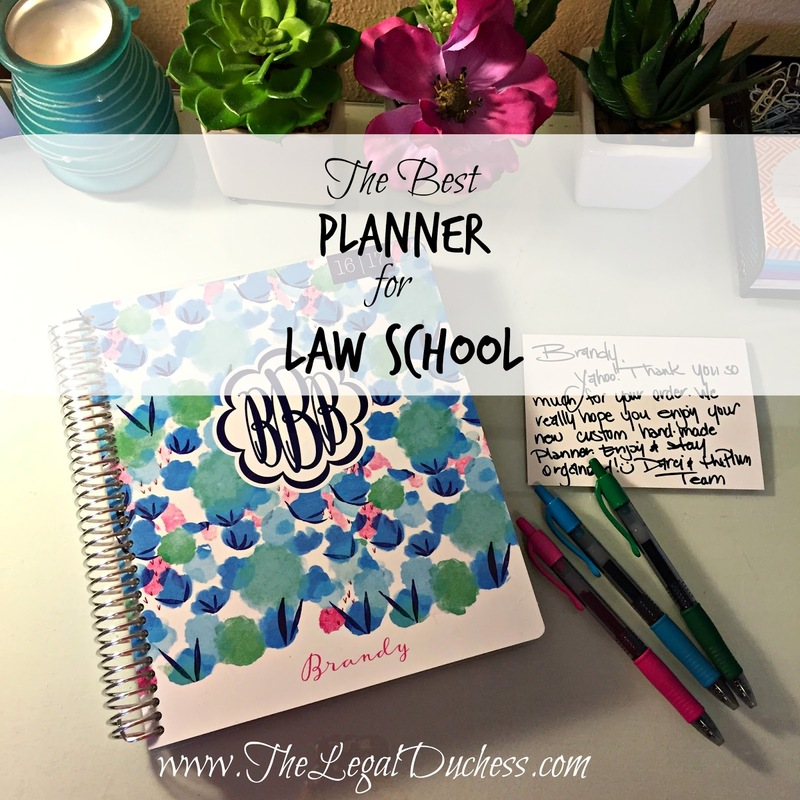 What planners do you use for Law School?? ?